You are done with a long, exhausting day at work. You just picked up the kids and it’s time to go home to face your evening chores at home, cook dinner, AND find something to occupy the kids until you can give them your full attention. So – what do you do first? A lot of parents first go-to is to turn on the television or pull out the iPad. Sure, this may be the easiest route to take in a lot of cases after a long, stressful day. 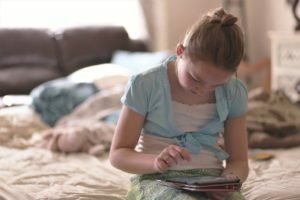 But often when our children sit in front of a TV for hours or get sucked into the iPad screen, it becomes not what they do, but what they don’t do. Child development relies on activities that are cognitively and sensorially stimulating. When a child is forced to look at a screen for hours at a time, it is not providing the stimulation they otherwise receive by performing activities that challenge them to use their minds and imaginations. Utilizing a list of after-school activities that provide stimulation for your children is important, so we have listed some ideas to get you started! Arts and Crafts are a perfect method of stimulating the brain while helping with creative development. Whether it is painting, drawing, writing, etc. it will allow children to freely express themselves and can allow them to communicate their emotions and feelings at the same time. Board games might seem old-school nowadays, but they are a perfect hands-on way for children to build learning skills. Depending on the game of choice, they can be played solo or with the whole family. Board games can teach children to master new skills, think outside the box, and learn new concepts. There are few activities better for children than outdoor play. Playing outside allows children to seek out exercise, get fresh air, and explore their natural environment. 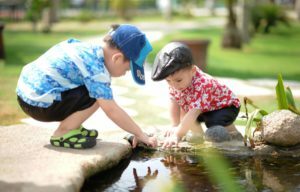 This will allow children of any age to learn about the world outside of them and find new activities whether it be making friends, playing sports, or just exploring. Having children help cook dinner is beneficial to both parent and child. You can supervise your child while having them be involved in a fun, hands-on learning experience that is a basic life skill they can be a part of at a young age. While they may not be a master chef in the kitchen yet, they can use the experience to learn about many different facets of being in the kitchen such as nutrition, measuring, ingredients, etc. 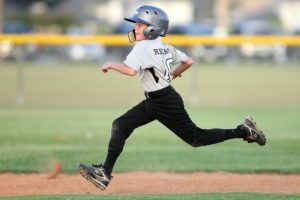 Sports are a great way for children to spend time after school for a multitude of reasons. They build self-esteem, develop healthy lifestyle habits, teach problem-solving skills, and allow for competitive and fun social interaction. Whether the sport be soccer or snowboarding, it gives children something to look forward to that contributes positively to their well-being. These are just a few options out of endless stimulating, technology-free after-school activities for children. Every family has different schedules and accessibility to activities, so find what works best for your family and create your own list of after-school activities!